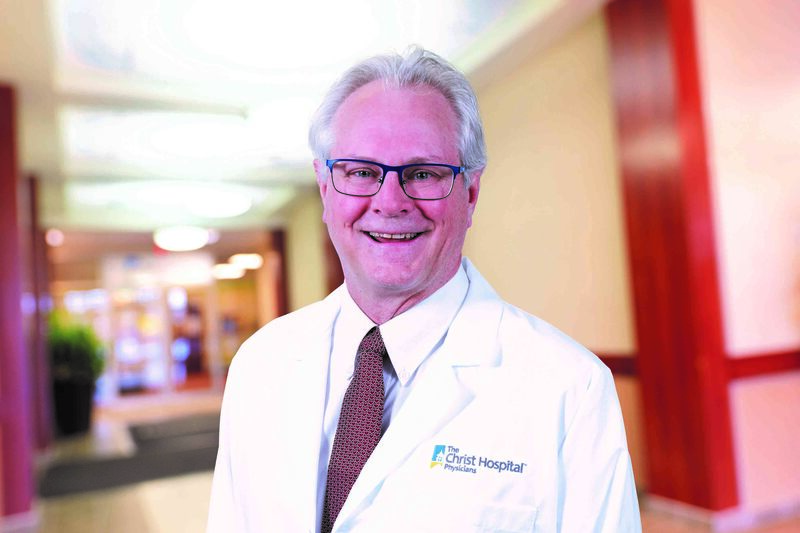 The Christ Hospital Health Network is honoring its commitment to providing the best heart care in Greater Cincinnati with the addition of world-renowned clinician, Timothy Henry, MD, FACC, MSCAI. Dr. Henry is the former chief of cardiology at Cedars Sinai Medical Center in Los Angeles, one of the country's most prestigious medical institutions, and is a pioneer in the treatment of myocardial infarction, the medical term for a heart attack. A cardiovascular interventionist, Dr. Henry will serve as the Lindner Family Distinguished Chair in Clinical Research and Medical Director of The Carl and Edyth Lindner Center for Research at The Christ Hospital. “Dr. Henry is an internationally recognized innovator in heart attack care as well as the study of stem cell and regenerative therapies, predominantly in the areas of heart failure and refractory angina,” said Dean Kereiakes, M.D., Medical Director of The Christ Hospital Research Institute and an interventional cardiologist. "Dr. Henry is a real pioneer in this type of research," said Dr. Kereiakes. "He is also an incredibly well-established clinical researcher and thought leader who will elevate the regionalized care that we provide at The Christ Hospital." Dr. Kereiakes said he and Dr. Henry are friends and professional colleagues who have worked in the past on significant research publications. "Tim is a national and international principal investigator for more than a dozen clinical trials," Dr. Kereiakes said. "We love doing clinical research and writing papers together. Presently, at The Christ Hospital, we are conducting multiple stem cell/growth factor clinical trials in patient with heart failure or angina." Dr. Henry is the founder of the American Heart Association's Mission Lifeline national initiative, which is designed to advance the system of care for patients with acute, high-risk time sensitive or quality life threatening disease states such as heart attacks. The goal of Mission Lifeline is to bring care providers together in a collaborative manner and to reduce patients' mortality and morbidity while improving quality of care for patient outcomes. Dr. Henry received his medical degree from the University of California, San Francisco, in 1982. He then completed his residency at the University of Colorado Health Sciences Center, Denver, in 1985, and his cardiology and interventional cardiology fellowships at the University of Minnesota, Minneapolis, in 1990 and 1991, respectively, before spending 11 years at Hennepin County Medical Center. In 2002, Dr. Henry became the director of research at the Minneapolis Heart Institute, where he developed the Level I heart attack network that dramatically changed the process by which patients with STEMI were treated. He then spent five years running the division of cardiology at Cedars-Sinai taking it to a top 5 U.S. cardiology program, prior to coming to The Christ Hospital. Dr. Henry is the president-elect of the International Society for Cardiac Angiography and Intervention and is the author of approximately 1,000 peer-reviewed medical and scientific research publications. He has been honored by being named to the Best Doctors in America list each year between 2007 and 2018, becoming a master fellow for the Society for Cardiovascular Angioplasty and Interventions in 2015, receiving the American Heart Association’s Heart and Stroke Hero Award in Research in 2013 and being granted the LUMEN Global Lifetime Achievement Award in MI in 2012. About The Christ Hospital Health Network: The Christ Hospital Health Network is an acute care hospital located in Mt. Auburn with six ambulatory centers and dozens of offices conveniently located throughout the region. More than 1,200 talented physicians and 6,100 dedicated employees support the Network. Its mission is to improve the health of the community and to create patient value by providing exceptional outcomes, the finest experiences, all in an affordable way. The Network has been recognized by Forbes Magazine as the 24th best large employer in the nation in the magazine’s “America’s 500 Best Large Employers” listing and by National Consumer Research as the region’s “Most Preferred Hospital” for more than 22 consecutive years. The Network is dedicated to transforming care by delivering integrated, personalized healthcare through its comprehensive, multi-specialty physician network. The Christ Hospital is among only eight percent of hospitals in the nation to be awarded “Magnet” recognition for nursing excellence and among the top five percent of hospitals in the country for patient satisfaction. For more than 125 years, The Christ Hospital has provided compassionate care to those it serves.